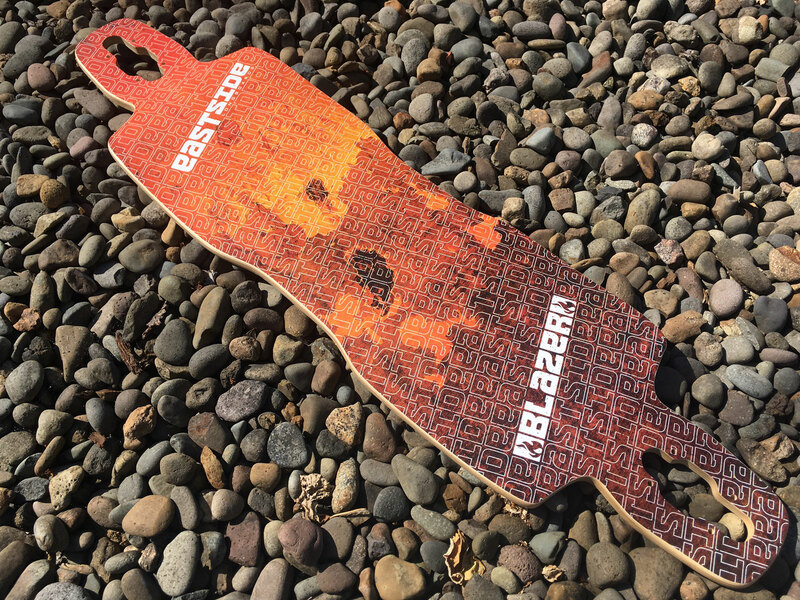 Blazer Deck only – No trucks and wheels. 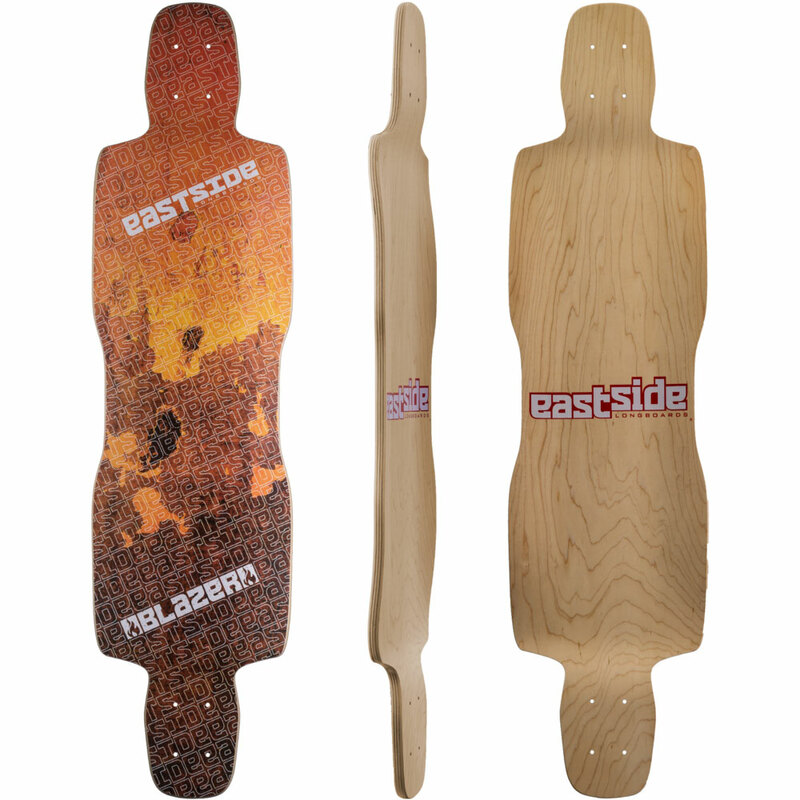 Eastside’s second version of the popular Blazer Drop-Down board featuring a 5/8″ dropped platform. This creates a lower riding platform for more stability and nice wedged pockets to lock your feet into. This symmetrical shape with a lot of standing platform (26″) is made for medium to larger riders with a wider stance. 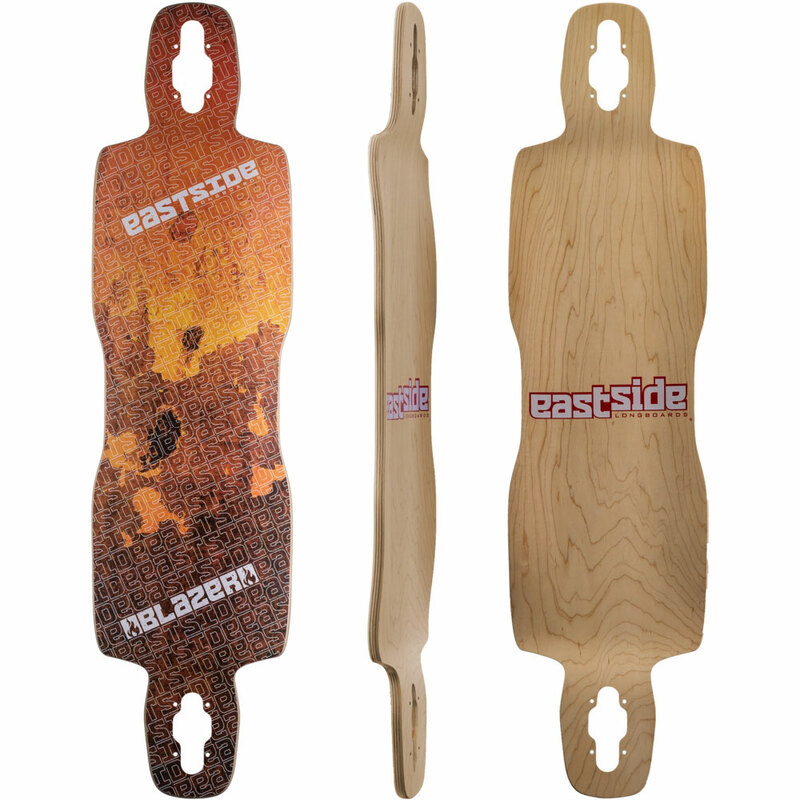 Constructed with 9 plies of thick longboard grade maple with a medium concave. 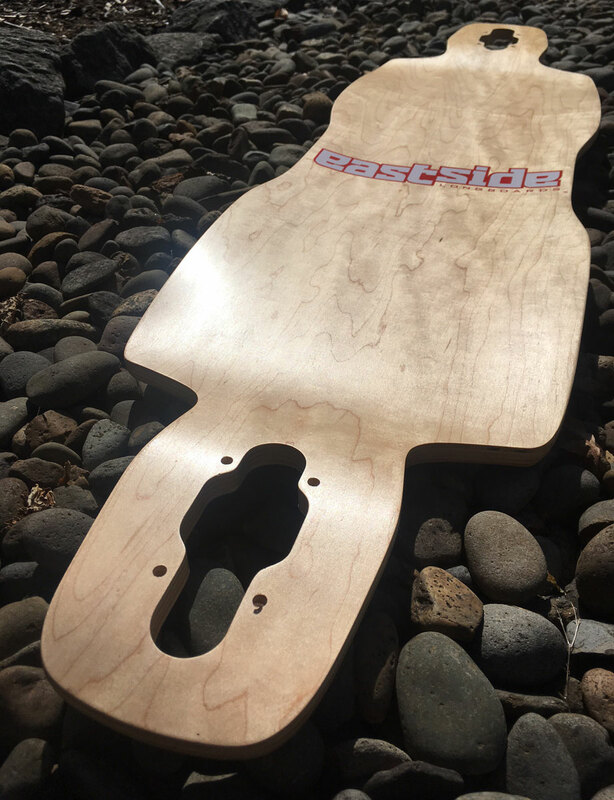 It can hold heavier riders without flex and labeled our big and tall board! And it can do it all: freeride, downhill, and pushing distance. The radial concave is perfect for everything and comfortable for LDP. The Blazer is available in both Drop-Through or Top-Mount. 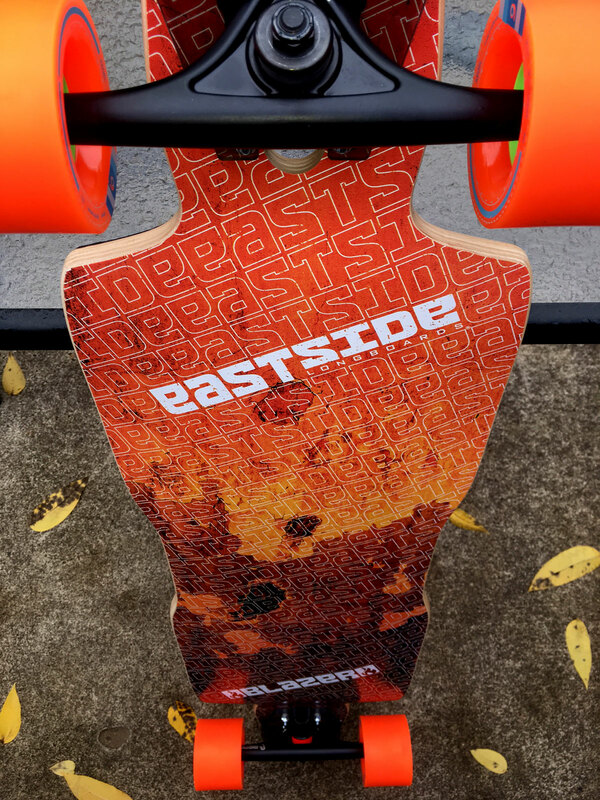 We suggest Drop-Through for newer riders wanting an easy to learn on board that’s easy to push and slide, also really stable downhill. We suggest Top-Mount for heavier riders over 225 pounds and/or for faster freeriding and downhill by giving you more grip and leverage over the wheels. You can always mount the trucks top-mount on the Drop-Through version as an added option. 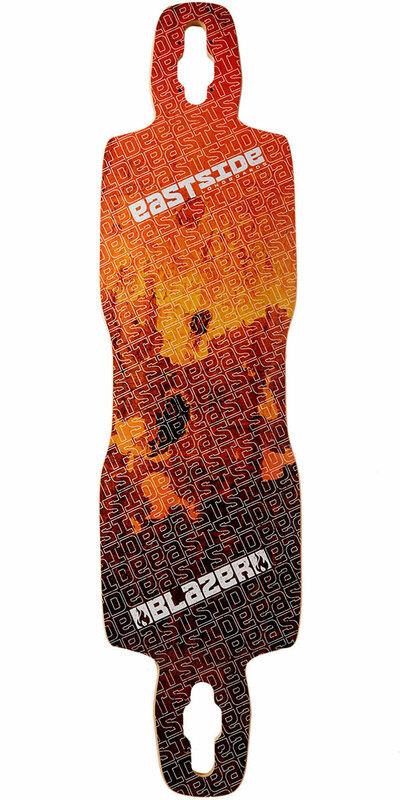 New updates for the Blazer V2 are a streamlined shape with a bit more concave. Also improved wheel cutouts for bigger wheels and flipped offset wheels up to 80mm with no wheelbite. UPDATED Blazer V2: Read about the new changes on our Blog. 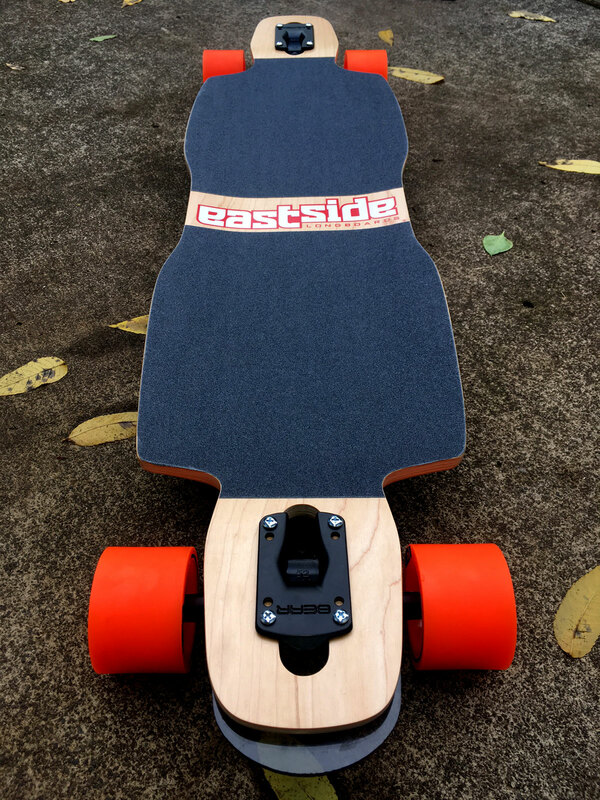 Recommended wheels 70-80mm with no wheelbite with loose trucks. 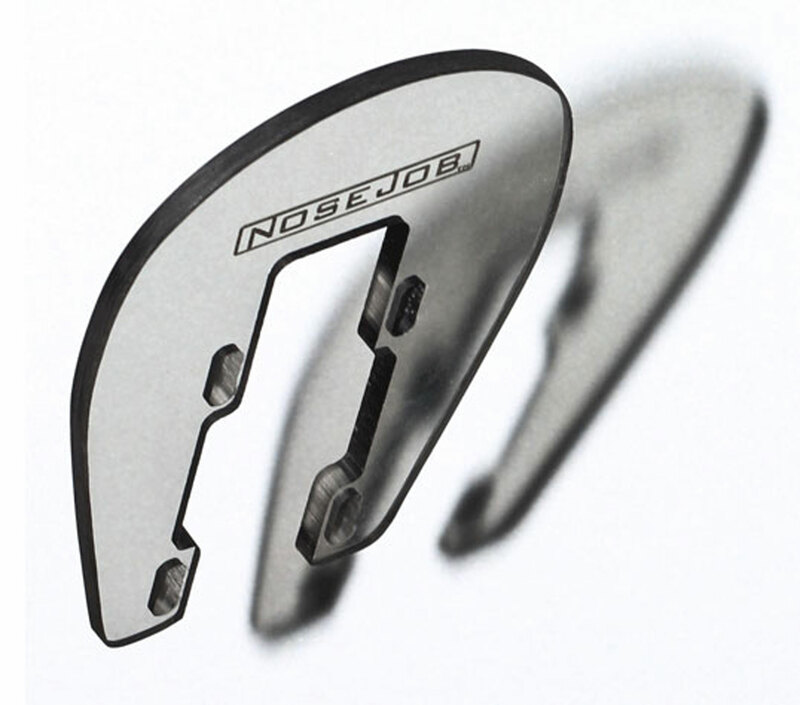 Symmetrical shape with a 5/8″ dropped platform creating foot pockets. 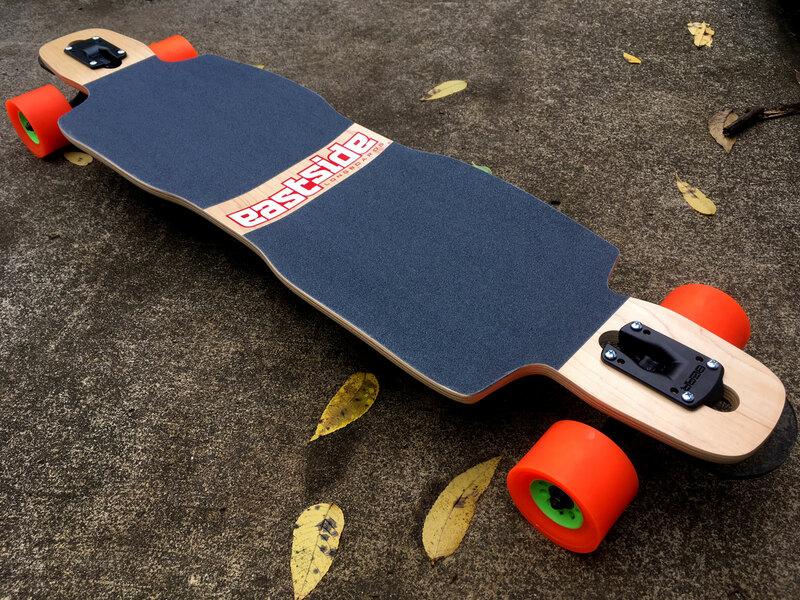 9-Ply Maple Construction for bigger riders: Drop-Through or Top-Mount versions. Drop through: Stiff for 225 lbs and below / Top mount: Stiff for 250 lbs and below. Concave: 1/2” radial with 3″ flat base. Bought this 4 years ago and have been riding it nearly daily since. I’ve done downhill, commuting, etc. 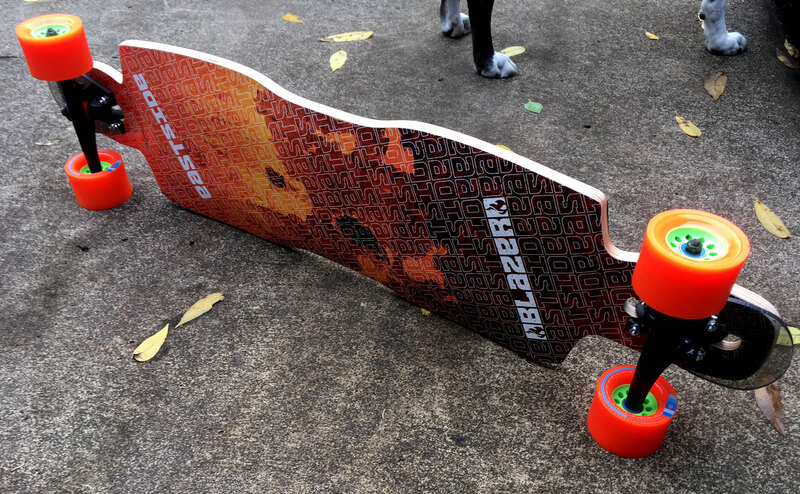 I’ve put over 1000 miles on this deck through rain, snow, dirt, and rough roads and it is still kicking. The griptape is peeling and I’ve gone through 4 sets of bearings and even sheared the head off a bolt but it still goes. I’m surprised this deck is still alive after the punishment I’ve put it through.